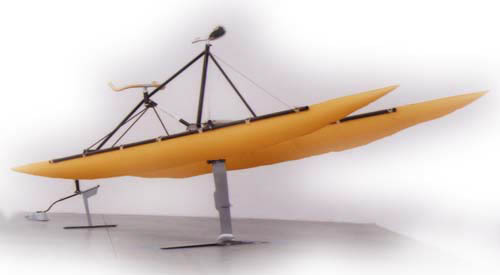 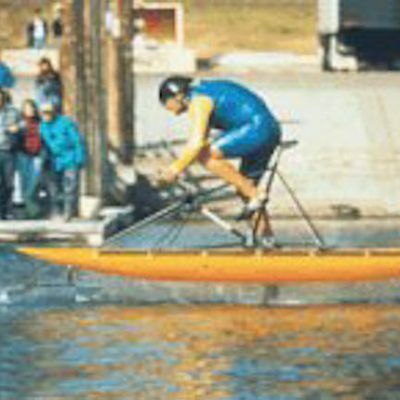 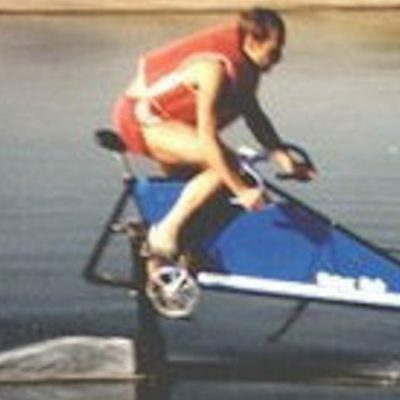 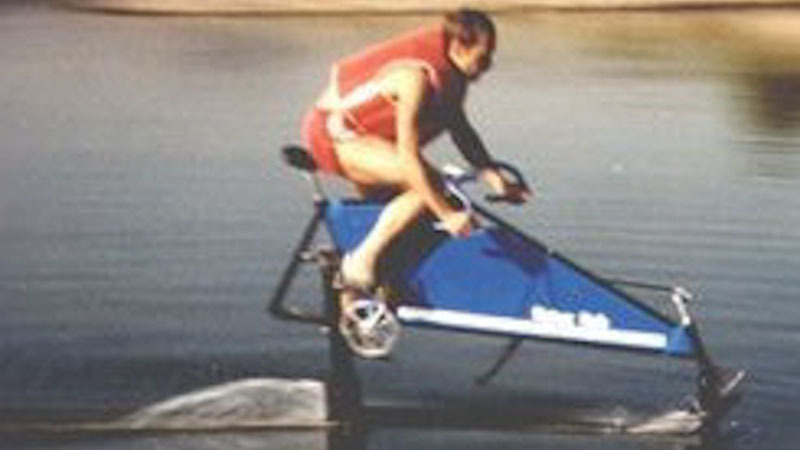 The Flying Fish was designed by Allan Abott und Alec Brooks to break the current record times for human powered boats. 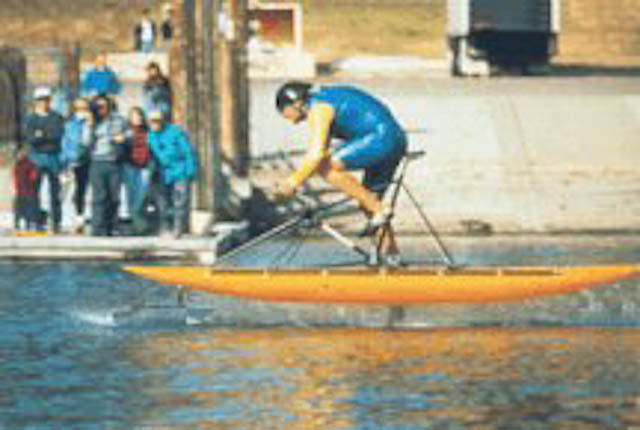 Since a very long time these records were hold by rowing boats. 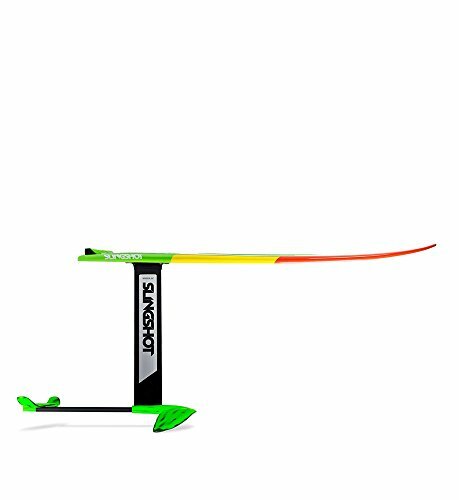 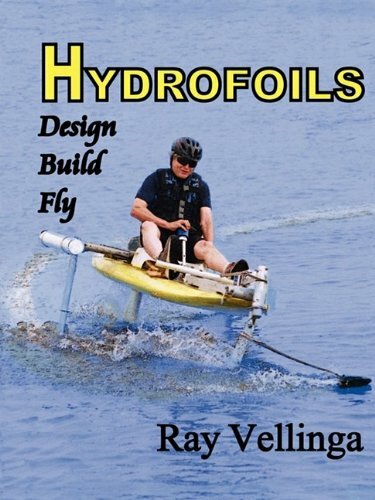 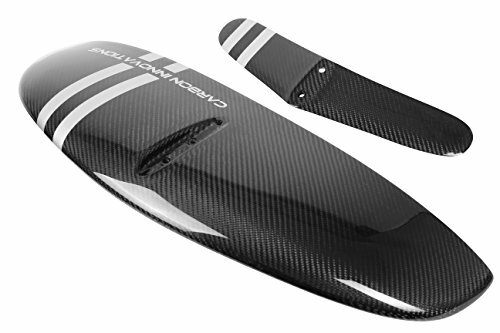 More information can be found at flyingfishhydrofoil.com.